Labour party supporter. Ed Miliband, Ed Balls, Rachel Reeves. 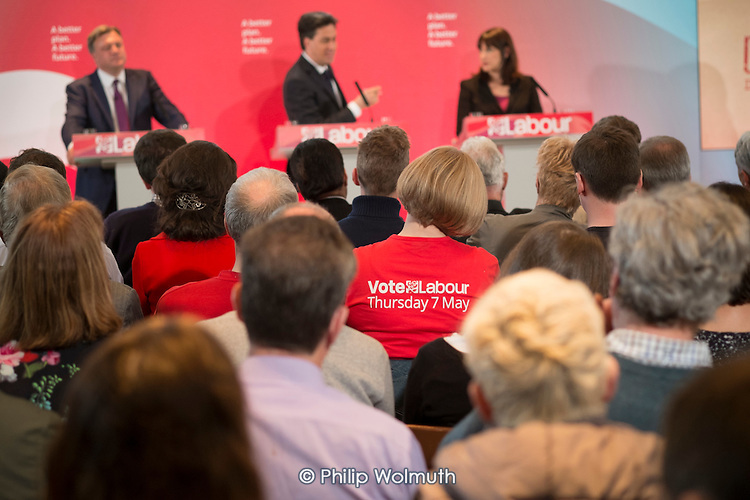 Labour Party election press conference, RIBA, London.